As I noted the last time I took to this platform to express my views on the meaning of President Donald J. Trump for Canada’s relationship with the United States, there were at least a few reasons for optimism, amid the general sense of gloom and doom that descended upon Canadians in the immediate aftermath of the November 2016 election. Chief among those reasons was my expectation that, just as earlier Canadian forebodings about Ronald Reagan’s meaning for Canada and its relationship with its great neighbour to the south would turn out to be wildly misplaced in the years following the November 1980 American election, so too might the most recent bout of national neuralgia disappear, once Canadians got to know more about the new president, and grew, if not to like him more, then at least to dislike him a bit less. No less importantly, the trade “balance” between the United States and Canada looked marvellously unthreatening from the latter’s perspective, with Canadian-American flows of goods and services, considerable as they were, being more or less evenly apportioned between the two countries, so that it would be difficult for anyone to imagine that the U.S. was seriously in a ‘deficit’ commercial situation vis-à-vis Canada, or that the latter was somehow responsible for the theft of American manufacturing jobs. Both economies, from Canada’s perspective, were obviously benefiting from their increasing integration, even if it remained true that neither Canada nor the U.S. was fully committed to free trade, each having carved out certain areas of its economy thought to be deserving of, ahem, the authorities looking the other way when it came to adhering scrupulously to the postulates of untrammelled trade. Then came a series of disturbing events in the spring of 2018, beginning with the U.S. decision to back out of the nuclear deal with Iran, something that cut the French to the quick much more than it did the Canadians, and followed by the Trump administration’s imposition of steep tariffs, of 10 and 25 percent respectively, on imports of aluminum and steel from Canada and several other countries, including many in Europe. These tariffs hurt Canada much more than they did France, given the much higher level of economic integration within North America than between the latter and Europe. Not only did the Canadian economy stand to absorb a much greater shock than any of the European economies, but to add insult to injury, the Trump administration based its decision to impose the tariffs on grounds of “national security,” citing as the legal basis for this move Section 232 of the Trade Expansion Act of 1962 (as amended by section 127 of the Trade Act of 1974 and the Reorganization Plan of 1979). This is a seldom-used device that allows the President to impose restrictions on imports that are held to impair the national security. It has been employed at various times to impose quotas and fees on imports of crude oil and products. Should the secretary of commerce judge that imports are a danger to security, he must so advise the President, who may in turn take measures to “adjust” import levels. All American allies, not surprisingly, could take deserved umbrage from somehow being labelled trade-related “security” problems for the U.S., but the Canadian case differed from that of either the European allies or Mexico, which these days is not really an American ally, and has not been since the time, back in September 2002, when it severed its alliance bonds with the U.S. by withdrawing from the Inter-American Treaty of Reciprocal Assistance (the Rio Pact). As for the European allies, Canada stands apart from them, in that not only is it America’s oldest continuing ally—the Canada/U.S. alliance having taken shape with the Ogdensburg agreement of August 1940, and being fortified by the Washington treaty of 1949 creating NATO—but it is also the ally whose own security and defense interests are most tightly enmeshed with America’s and vice versa. This is the result of their sharing a continent. Unlike the European allies, geography has made possible, indeed necessary, for Canada a profounder degree of defense integration with the U.S. than exists between the latter and the Europeans. It is not just in the areas of continental and of homeland security that one glimpses this integration. Defense economics is another sphere of tight cooperation, with defense manufacturers in Canada being considered as much a part of the American “defense industrial base” as if they were located in the United States itself, as a result of two initiatives dating from the Cold War: the Defense Production Sharing Arrangement (DPSA) of 1958, and the Defense Development Sharing Arrangement (DDSA) of 1963. Shocking (insulting, really) as it was suddenly to be told by the Americans that they were somehow a security risk to them, for Canadians the worst was yet to come. When it arrived, it took the form of a tweet-storm the firecracker-fused President touched off the morning after he departed the June 2018 G-7 summit in Charlevoix, Quebec, bound for a meeting that he much preferred to be attending, his Singapore get-together with North Korea’s Kim Jong-un. And this tweet storm, more than the other problems of the springtime, is what has plunged the Canada-U.S. relationship into its current trough. For reasons that can only be explained by President Trump himself, if explainable at all by anyone, the American leader chose to use the annual showcase of western conviviality and attempted policy coordination that we know of as the G-7 summit as an opportunity to vent some of his ample spleen. The immediate target of this venting was the host of the summit, Trudeau, whose utility as a punching bag was reinforced by the knowledge that Trudeau’s general perspective on liberal-internationalism was quite similar, indeed well-nigh identical, to that of Trump’s other great political buddy, Macron. As noted above, prior to the Charlevoix meeting of early June, it was widely assumed that Donald Trump had no better friends within the western community of democratic countries (basically NATO allies as well as Japan, Australia, and New Zealand) than the two youthful leaders of Canada and France. So it is possible that the president was intending to convey a message to Macron by using Trudeau, in the hope that if he could be seen to be employing harsh words with one of his alleged friends—for instance, by labelling Trudeau “very dishonest and weak” in an early morning tweet—then he might be able to get his message through to other friendly leaders, and more to the point, to those leaders with whom he is not reputed to be on such cordial terms, Germany’s Angela Merkel in particular. President Trump, after all, has been well known to direct far stronger criticism at some of his close cabinet associates or advisors (think: his attorney general, Jeff Sessions, or former presidential advisor, Steve Bannon) than what was conveyed in his tweeting about Justin Trudeau. Moreover, it would hardly be the first time Trump had taken to Twitter to send a political signal. But if it was signalling that he was about, what exactly was the intended message? Was the President hinting in a not-too-subtle manner that although he personally favored free trade, he had grown fed up with other countries’ protectionism, and was going to force their hand with the same kind of “tough love” he believes brought Kim Jong-un to the negotiating table to talk about North Korean nuclear weaponry? The trade equivalent of ‘fire and fury,’ in this context, would be the unleashing of the protectionist tariffs against steel and aluminum, accompanied by the threat of further such tariffs to follow. Or was there something far more worrisome afoot? Was Donald Trump, in fact, intending to convey to Macron, Trudeau, and all the other western leaders that the game was up, that preserving the American-led multilateral order of the past 70 years had been proving far too costly for America, which henceforth would no longer make the strengthening of this order the overriding objective of its foreign policy? In this view, Trump was sounding like a protectionist not because he was really an impatient free trader. He was talking like a protectionist because trade and other sorts of barriers fit increasingly comfortably into his world-view, so much so that tales of his having distanced himself from Steve Bannon were showing themselves to be just another variant of fake news. No one, of course, can say with anything approaching authority what was going through the President’s mind in Quebec, other than that he was clearly eager to get out of Canada and on his way to Singapore, for the meeting with the North Korean leader. At the very least, however, the dustup in Charlevoix has made it more difficult for anyone to evince much optimism about Donald Trump’s turning out to be another Ronald Reagan. But he just might turn out to be another James Madison. For a president who has longed to be taken seriously by the toffs, he may finally have attained, in Canadian eyes at least, the status of one of America’s founding fathers, the fourth president. It was Madison, be it recalled, who occupied the White House the last time Canada and the U.S. went to war against each other. 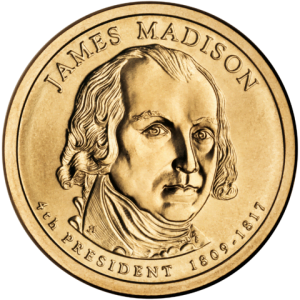 And it is Madison, most experts concede, who is generally recalled as having been the most unpopular president ever, in Canadian eyes. All of this leads the observer to wonder why, of all countries to annoy, President Trump would want to go out of his way to target Canada? Some might simply chalk it up to the 45th President’s own understanding of the “Sinatra doctrine”: he does it his way, and has no need to explain himself, to anyone save his base, perhaps. But even his base, according to most recent polls, tends to share the overall American assessment of Canada as being not just a nice country, but America’s best friend and ally. So perhaps instruction might be taken from another Sinatra song, “New York, New York.” For if America under Donald Trump cannot “make it” in Canada, of all places, how can it expect to make it anywhere? David G. Haglund is a Professor of Political Studies at Queen’s University (Kingston, Ontario, Canada). His research focuses on transatlantic security, and on Canadian and American international security policy. Among his books are Latin America and the Transformation of U.S. Strategic Thought, 1936-1940 (1984), The New Geopolitics of Minerals: Canada and International Resource Trade (1986), Over Here and Over There: Canada-US Defence Cooperation in an Era of Interoperability (2001), and Ethnic Diasporas and the Canada-US Security Community: From the Civil War to Today (2015). David G. Haglund, “Canada and the Election of Donald Trump,” H-Diplo/ISSF Policy Series, January 2017, available at https://issforum.org/roundtables/policy/1-5i-Trump-Canada. Quoted in Guy Lawson, “Borderline Personalities,” New York Times Magazine (17 June 2018): 38-44, quote at 42. U.S. Congress, House Committee on Ways and Means, Subcommittee on Trade. Overview of Current Provisions of U.S. Trade Law (Washington, D.C.: U.S. Government Printing Office, 1984), 89. See David G. Haglund, “The Canada-US Alliance in the Post-9/11 Context: Any Room for Mexico?” in Jonathan Paquin and Patrick James, eds., Game Changer: The Impact of 9/11 on North American Security (Vancouver: UBC Press, 2014), 231-250. See Robert Van Steenburg, “An Analysis of Canadian-American Defence Economic Cooperation: The History and Current Issues,” in Canada’s Defence Industrial Base, ed. David G. Haglund (Kingston: Ronald P. Frye, 1988), 189-219. Quoted in Robert Fife, “As Trade War Looms, G7 Leaders, Canadian, U.S. Politicians Rally Around Trudeau,” Globe and Mail (Toronto), 11 June 2018, A1, A6. In response, Canada has just implemented tariffs of its own on a range of American goods, intended to approximate the value of the U.S. duties on Canadian shipments of steel and aluminum (more than US $12 billion). Ian Austen, “Canadians’ Pride Mixes With Retaliatory Tariffs. Just Add Tomato Paste,” New York Times, 1 July 2018, 17.